The Gillen Club in Alice Springs is a popular venue for local people to relax with family and has a membership base of over 11,600 members. The Club prides itself for the facilities and services it provides to the local community and boasts a large play area with extensive play equipment and a large jumping pillow. These excellent facilities can only be fully utilised if users are protected from solar UV throughout the day. 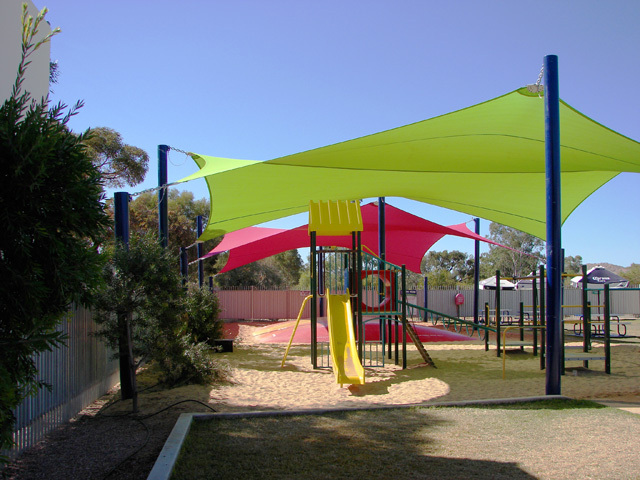 Shadeform was engaged to design, manufacture and install these eye-catching and functional Twin Sails. Using the latest 3D modelling software Shadeform was able to model the sails and provide an accurate shading footprint for the client’s approval. 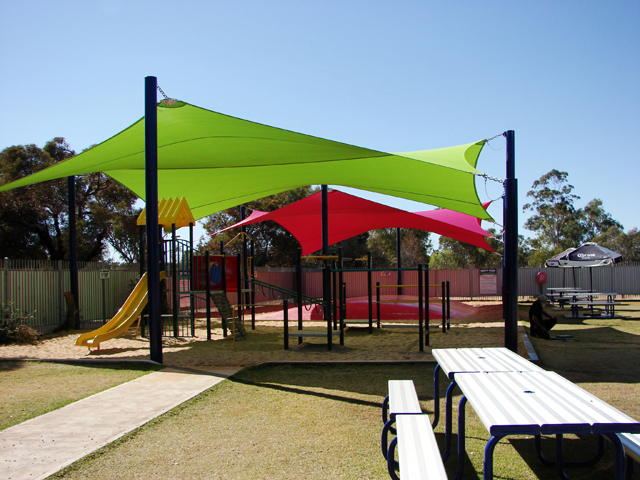 Manufactured in vividly coloured Monotec 370 fabric, these sails provide essential UV protection to users of the play area and provide an aesthetically pleasing addition to the Gillen Club facilities. The play area can now be utilised throughout the day and all year round.